Amber of Cosmic Stardust Cosplay will be at Play On Con 2018! Checkout her panel at POC11 about Volunteering in Cosplay for Charity. Let's be honest: Cosmic Stardust Cosplay has been attending conventions for far longer than she'd like to admit. She started cosplaying in 2007 and hasn't looked back since. 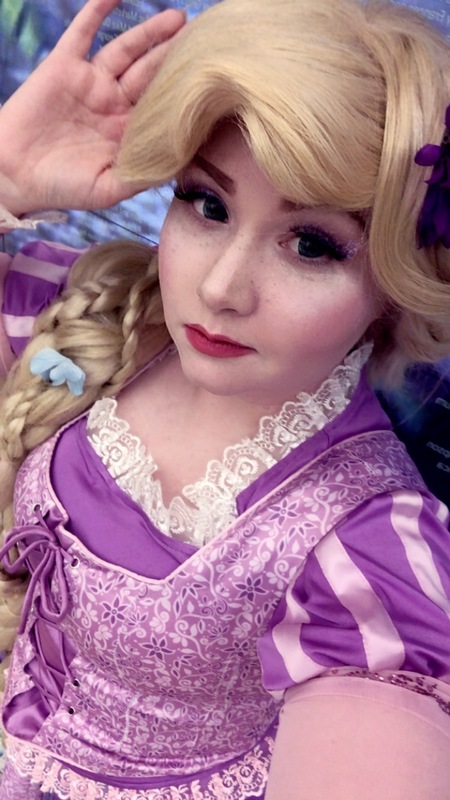 Although she's added a wide array of cosplay characters and conventions to her repertoire, her biggest passion lies in volunteering through cosplay for local hospitals and charity organizations. She co-manages a volunteer organization called W.I.S.H.E.S. dedicated to providing activities for disadvantaged children. When she's not parading around as a fairytale princess, she likes to hang out with her service dog, an adorable corgi named Lyanna Morpaw, recite old-school Vines, and cry about fictional characters. Just don't get her started on Voltron. Please.